There are so many reasons why you should start to commute by bicycle. You’ll get in better shape and feel better about yourself. The planet will thank you for not polluting it with nasty gas emissions. Your bank account will gain a little boost as you save money on gas. I could go on and on about why bike commuting is the best way to get around. 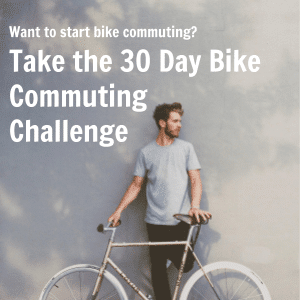 Hopefully by the time you’re reading this article you have made the decision to start bike commuting, and are now asking the question – what route should I take to get to work/school/etc.? As an example, let’s say you’re going to be bike commuting to work. You already know how to get there by vehicle or public transportation, but what’s the best way by bicycle? You may already be imagining the highways or sketchy roads that you drive through wondering if you’ll need to pedal through them to get to work. No one wants to ride on congested roads with cars if they can help it. 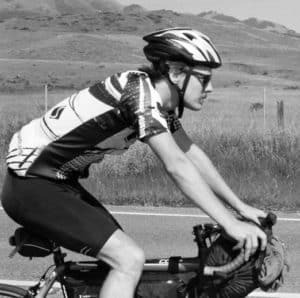 In this article, I will give you the tips and tools to help you choose the best bike commute route to get you where you need to be. 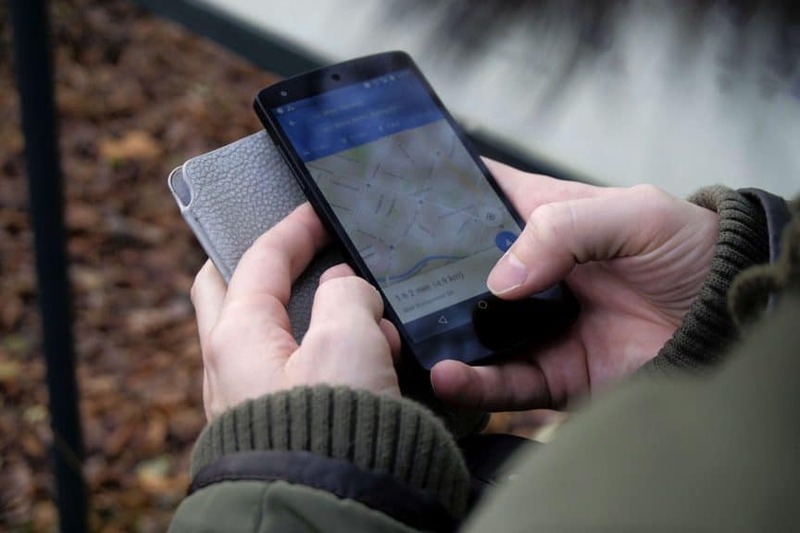 One of the best tools I use to plan my bike routes is – drum roll please – google maps! When I first started riding a bike in my hometown Google maps was my best friend. It’s an easy tool to use to find safe bike routes. My ultimate goal in cycling is to steer clear of cars as much as possible. As a cyclist you are safer the more you stay away from vehicles. For most of us complete avoidance of vehicles is impossible, but the goal is to find routes that have the least amount of cars. Less cars = more peaceful ride. It should be noted that google maps will do its best to choose a proper bike route, but this doesn’t mean it will completely avoid vehicles. Depending on where you’re riding there may be no choice, but to take roads with lots of vehicles. Google maps will include city mandated bike paths and does a pretty good job of choosing a good bike route, but it won’t compare to knowledge of a local. If you know other bike commuters or cyclists than they will have a wealth of knowledge on the best roads to ride on. I would argue that avid cyclists know the roads of their city better than anyone. 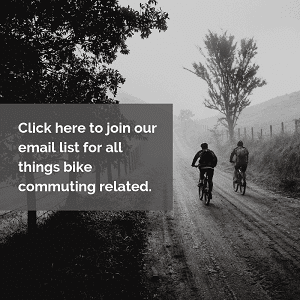 Make friends with other commuters and ask them what they’d recommend for you as a bike route. Chances are they know roads and trails that are perfect for commuting, and can also give insight on roads to steer clear from. If you don’t know any bike commuters or cyclists this is a great opportunity to head into your local bike shop. Head over and talk with the employees. They’ll be thrilled that you’re going to be riding to work, and will have lots of great information to help you choose the perfect bike route. While I would love for everyone in the world to commute to work by bike I know this isn’t feasible. One of the reasons people can’t bike commute is because it’s too far of a distance. There isn’t enough time in the morning or evening to get to work if they chose to commute to bike. For others, bike commuting would require them to ride on a road that is dangerous and so they opt out. I don’t blame them. Depending on your circumstance, you could try bike commuting partially to your intended location. You could choose to drive with your bike to a halfway spot, and ride the rest of the way. Another option is to bike part of the way and take public transportation to skip over a congested part of town. Get creative! While it would be wonderful to be able to ride the whole way it isn’t necessary. It’s ok to incorporate cycling into part of your commute. Even a small portion is better than not riding at all. My recommendation for any new bike commuter is to test out the route before an actual day of work. Don’t wake up one morning deciding to bike commute having never done it before. By doing a test ride you’ll not only be able to time out how long it will take you to get to work, but it’ll also let you see if the route you chose is good for cycling. Where’s the Sun going to be? It’s not a huge deal, but be aware of the time of day when you’ll be cycling and where the sun will be positioned. On some routes you could find yourself riding into the sun as it rises or sets. If this is the case it will be difficult for cars to see you. My recommendation is to try to not ride directly into the sun so cars can see you, but I get that sometimes this is unavoidable. Riding a bike as transportation is the absolute best. I know you’re going to love it once you start. Talk with other cyclists and use google maps to find the best route for you. The more you ride in your area and get familiar with the roads and traffic you’ll be able to tweak your route to make it safer and more enjoyable. I hope this article helps! Happy riding!